Once again, Verizon Wireless is ranked the top U.S. carrier in fewest complaints of dropped calls, transmission problems and slow text messages. This is the 14th time the carrier has led J.D. 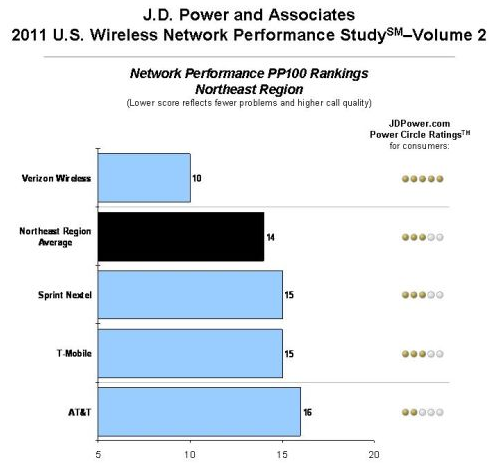 Power’s U.S. Wireless Network Quality Performance Study. AT&T and other major carriers landed further down in the cellular reliability survey. 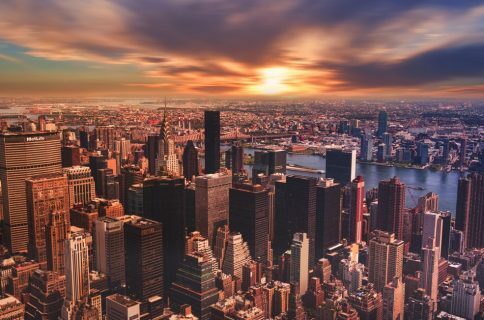 T-Mobile, the carrier whose corporate romance with A&T was broken up by antitrust questions, also mainly was a cellar-dweller, except for the Southeast and West, the survey found. Sprint-Nextel’s best showing was No. 2 to Verizon in the Northeast. 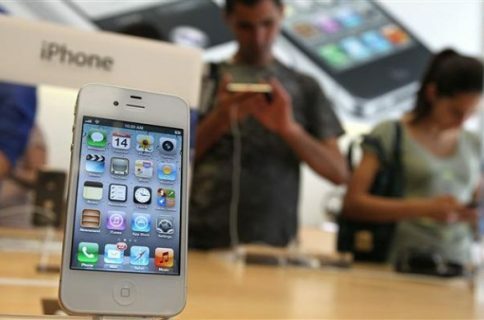 Salt Lake City ranked as the best city for cell phone owners with Sacremento the worst. Perhaps a sign of the level of complexity or their growing use, smartphones owners tend to report more problems than traditional “dumb” feature phones, the survey reported. Earlier this week, AT&T said it was limiting use of the iOS6 FaceTime over Cellular iPhone feature to subscribers of its Mobile Share data plan. The carrier explained the limit was to avoid massive video chat data demands swamping its overall wireless customer experience.